October 29, 2018 /in Recordkeeping /by strategic HR inc.
We have an employee that was admitted to the hospital overnight for a reaction to medication. The condition does not meet the parameters of a serious health condition. He was only ill for two days and no follow up with the doctor. Does this qualify for FMLA? FMLA is one of the more challenging tasks that we have as HR professionals because each case is unique. The fact that you are reviewing this situation for FMLA, hopefully means you know your organization qualifies (50 employees in a 75-mile radius). Secondly, does the employee qualify for FMLA? An employee must have been employed for one year and worked 1,250 hours in that year. Was there an overnight stay in the hospital? Was the employee or family member “incapacitated for more than three consecutive days and requiring ongoing medical treatments (either multiple appointments with a healthcare provider or a single appointment and follow-up care, such as prescription medication)”? Is this a chronic condition causing occasional periods when the employee or family member are incapacitated and require treatment by a healthcare provider at least twice a year? Is the employee or family member pregnant? For more details and a fabulous guide to FMLA, check out The Employee’s Guide to the Family and Medical Leave Act. Based on these considerations, yes, if there is an overnight stay in the hospital, even if the condition may not qualify as serious, the absence qualifies as FMLA. Navigating the Family Medical Leave Act can be daunting for even the best HR professional. 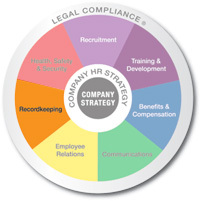 strategic HR’s team of HR professionals can help your organization manage the FMLA process and ensure the exposure to liability is mitigated. To discuss your FMLA needs, contact us. Plus, you can visit our Recordkeeping page to learn more about our other related services.